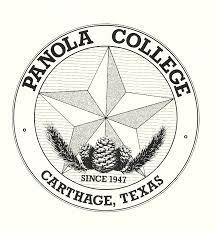 Located in Carthage, Texas, Panola College is a community college noted for its unique study options. Ranging from distance learning programs, to dual enrollment of high school students to a liberal arts and career combination education, its programs are meant to fit the needs of students from a wide range of backgrounds focused on varying goals. The college prides itself on small class sizes, individualized attention and affordable prices as well as a high-quality education.Quality instructional programs are offered at Panola for those interested in academic transfer, vocational training, developmental studies, workforce education and continued learning. Students may work towards the following types of degrees: Associate of Science, Associate of Art, Associate of Applied Science and Associate of Arts in Teaching. Certificates are also awarded in technical areas.